Genome Medical, which bills itself as a national genomics medical practice, has announced it will use the genomic data analysis and reporting services of Fabric Genomics to provide its patients, doctors, and genetic counselors with insight into both targeted treatments and disease prevention. Under the deal, Genome Medical, in conjunction with its laboratory partners, will deploy Fabric Enterprise, a computational genomics platform for the analysis of data generated from high-throughput panels, exomes, and whole genomes with a focus on hereditary disease and oncology. For Genome Medical, founded in mid-2016 and which first began providing services to patients in January this year, the partnership with Fabric fits with its founders’ vision of being able to provide specific treatments for disease and disease prevention based on patient’s unique genomic profile, said Steven Bleyl, M.D., Ph.D., chief medical officer, Genome Medical. The medical practice is currently building a nationwide network of both doctors and genetic counselors focused on deriving insights from genomic data. According to the company’s website, the goal of Genome Medical is “to bridge the growing gap between available genome technology and current medical practice.” It will focus initially in areas such as oncology, cardiovascular, and reproductive health, but intends to eventually focus on preventative health measures by helping individual patients to understand how their genomic profile influences health and wellness. 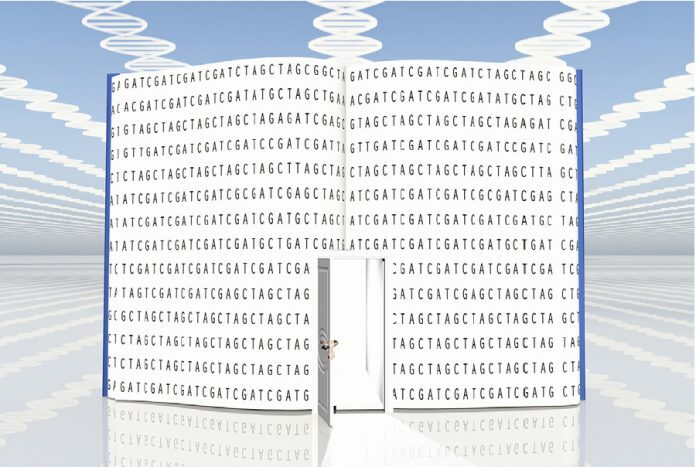 For Fabric, the deal with Genome Medical further helps build its presence in the clinical market of providing clinical decision support services via genomic data interpretation and with a partner that clearly embraces a genomic model of medicine. Since announcing its collaboration with Genome Medical, Fabric has continued to build its relationships with other health systems and genomic research efforts both within the U.S. and beyond. In late October, it announced new and ongoing partnerships with Genomics England’s 100,000 Genomes Project, Rady Children’s Institute for Genomic Medicine (see story on page 16), and The Utah Genome Project (UGP), all focused on speedy and accurate identification of pediatric disease-causing genetic variants. The newest of these partnerships, with UGP, will see the two work closely with phenotyping application company FDNA and its Face2Gene technology to detect disease-related facial features to potentially identify associated gene variations that cause disease, especially in children. Fabric Genomics has integrated Face2Gene into its Opal Clinical platform to facilitate comprehensive and precise genetic evaluations.